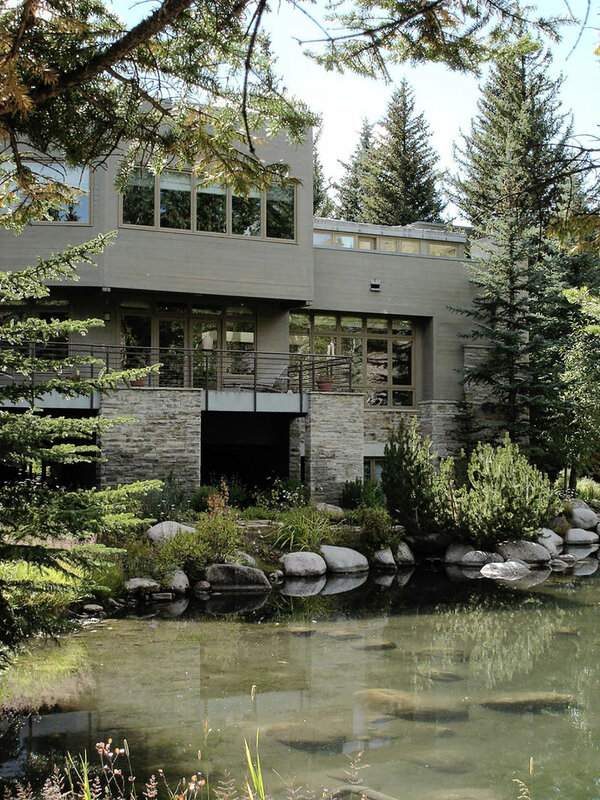 For this project a plan was developed to include additions expanding the master suite, an art studio and a spa / exercise area as well as a kitchen and living space remodel for this Vail Residence on Forest Road at the base of the Vail Ski Area. This remodel required a sensitive touch to provide a new outdoor deck and walkway to be carefully integrated into an existing fish pond water feature on the back side of the house. Considerations included seasonal water flows, coordination with the local water table and maintaining the existing natural plant materials on site. Work done by Christopher J. Green, FAIA while in the employ of VMD Architects, Avon, CO.